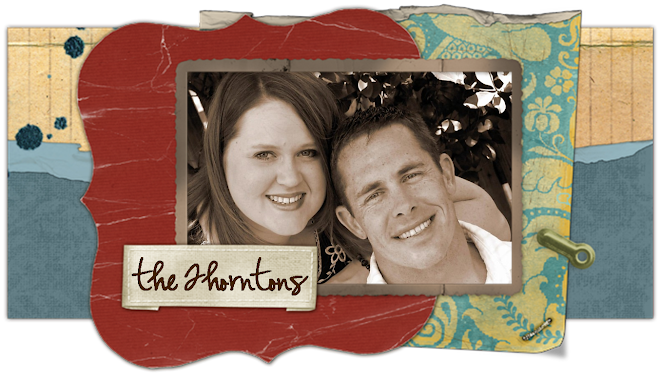 the thorntons: Quinn's Shower & Yee Haw!!! Quinn's Shower & Yee Haw!!! First of all, I was the only one out of Brittney, Thompson, and Molly to not post pictures of Brittney & Quinn's precious baby shower 2 weekends ago (yes, I'm REALLY behind). So, even though it's late, I have to share. It was SO much fun spoiling this sweet baby that we don't even know yet. We can't wait to meet him though! I'm especially fond of our new "tradition picture" that will be taken when each of us is pregnant. I don't know what's going to happen if two of us are pregnant at the same time because the pregnant one is supposed to stand on the end. Hmmm....we'll have to cross that bridge IF & when we get there! Is she not just the most beautiful mommy-to-be ever?? We should all be so lucky! OK, so after the weekend of the shower, Ryan and I decided that we needed to take advantage of living back in Texas. So, we got tickets to the Houston rodeo and Pat Green concert last Friday night. It was a lot of fun! I hadn't been to a rodeo since college, and it was the Abilene rodeo, so this was a lot bigger and better. Anyway, we got there in time to see barrel racing, bull riding (YIKES! ), the calf chases (which were hilarious), and the chuckwagon races. Pat Green was really good, and Jack Ingram made a guest appearance, so that was fun. It took me back to our college days when we used to country dance at the "Mansion" (Ryan's fraternity house) every Thursday night. Here's a shot of the bull rider who won. We definitely had "nose bleed" seats, so my pictures are taken from really far away with as much zoom as possible, and they're still horrible! Oh well...we had fun! I hate to admit it, but I think when Ryan goes with the "redneck look" he is so stinkin' hot! I love when he wears a little bit of scruff on his face and a pearl snap shirt. :) In the picture below, can you see the kid in the middle that is hanging on to the calf's tail and is being drug around the whole arena?! It was freakin hilarious. I have to agree that your hubbie is a hottie!!! Civilian life agrees w/ the both of you. We miss you all so much, it was great hearing your voice the other day. Man i need one of our girl days, beer at the outback.. those were the days! love ya gal! oh, i forgot to say that i also agree that B.P is so cute pregnant. I didnt look like that, shesh... jealous,, i think so. Congrats to her. I also love your new tradition for your b.f.f picture.... when will it be your turn,, tee hee hee, did i say that. Hey you, How the heck are ya?? I miss you so much. You look great and so happy. I hope that things are going well for you guys. Send me an email when you get a chance, I would love to hear from you. Tell Ryan that we said hi! I love the rodeo, it's been a while since I've gone! Glad Texas has you back! And yes, when is Sarah going to send us a little precious :)? "Jesus" again this year in the play and he has a MASSIVE beard! I need to post pics! He's so mad that Baby Quinn is going to meet him that way! I try to reassure him that Q won't know or care!!! HA! Anyway, I LOVE YOU! Can't wait tosee you in a few weeks..and to introduce you to my little man! :) AHHHHH! We were at Pat Green last Friday!! It is fun to go to all the festivities of the rodeo. SOOO a baby soon for you two ;)!!!!! Great pictures! Brittney is so cute pregnant! What a blessing it is that you all are still such good friends. Keri and I are jealous that you got to see Pat Green! I hadn't thought about 2 of us being pregnant at the same time....maybe it won't happen! Although you and I tend to do things pretty close together! Looks like y'all had fun at the rodeo!